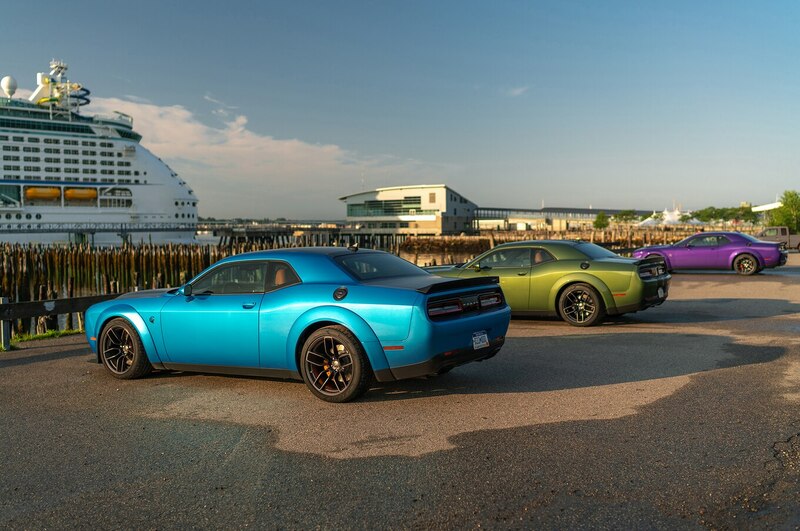 The 2019 Dodge Challenger entices buyers with new, high-performance variants, but how much do you really know about the updated muscle car? 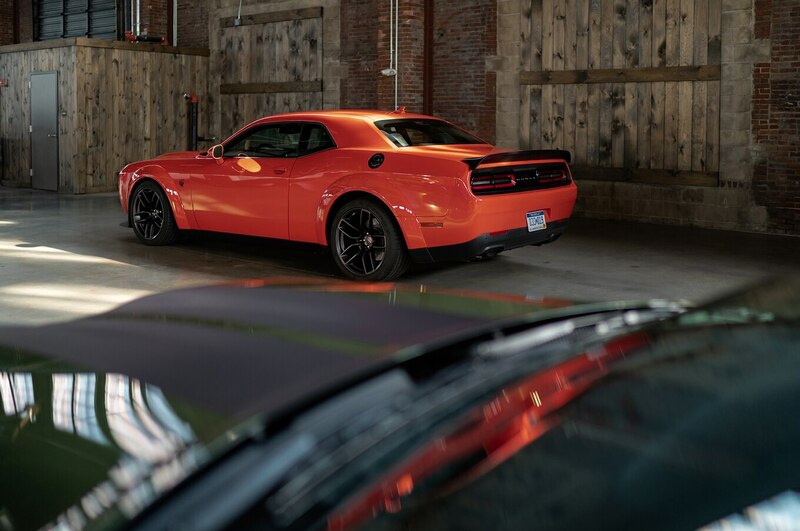 Find out what connection this Dodge has with the new BMW M5, and discover what distinguishes the Charger Hellcat from the Challenger Hellcat below. If you’re dubious about the need for a 203-mph (327-km/h) speed limiter (set just below the tires’ 205-mph (330-km/h) safety limit), our computers suggest that even with the Widebody’s brick-like 0.384 drag coefficient and barn-like 29.96-square-foot frontal area, the total horsepower requirement at that speed should be about 650, which the Hellcat HO engine has covered at 5,500 rpm in seventh gear. 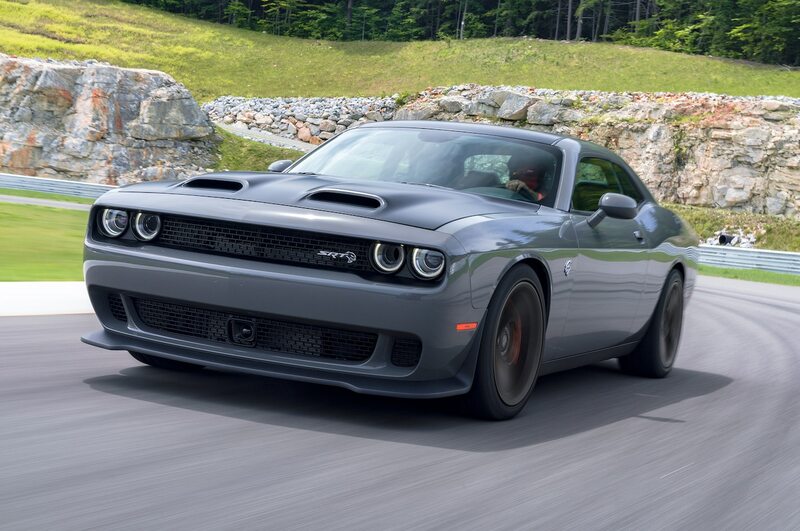 That’s with the standard 2.62:1 axle—the optional 3.09:1 gearing complicates matters, as the engine redlines at 201 mph (323 km/h) in seventh, and 203 mph (327 km/h) equates to 5,150 rpm in eighth, which could pose a challenge. Naturally, the narrow-body Redeye (0.382/25.87) will win the race to 203 mph (327 km/h), as it only requires 565 hp at 203 mph (327 km/h), so it should easily hit its limiter with either axle ratio. Perhaps largely because the racing is fun, the SRT team incorporates endurance racing at the slightly rough 2.0-mile (3.2-km), 13-turn Nelson Ledges track in Ohio. This past year the team’s pace in a Redeye Widebody was just 0.6 second off the pace of the 640-hp Viper GTS—a track-optimized coupe that’s 1,000 pounds (454 kg) lighter. Not surprisingly, the time was all made up on the straights. Fun fact about the 305/35ZR20 Pirelli P Zero tires that go on all current Widebody Challengers: Dodge and SRT were developing the compound at the same time that BMW was developing a P Zero for the M5, and the two teams independently arrived at essentially the same compound. 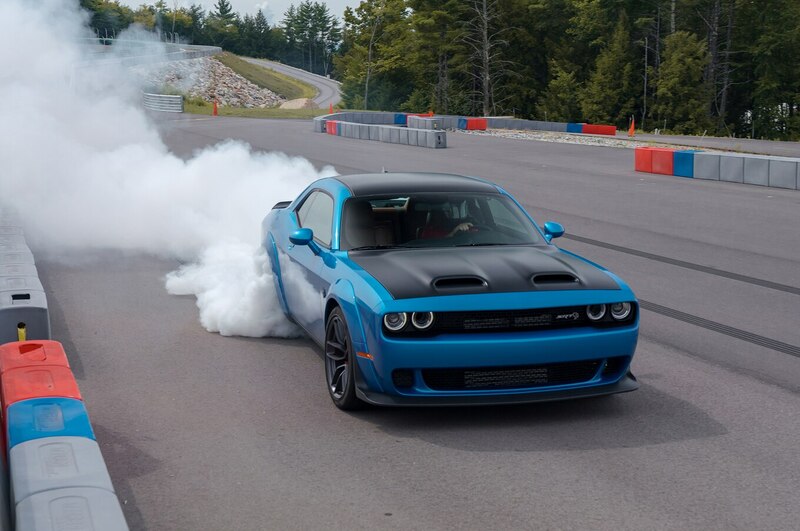 Hellcats once had hydraulic steering, but now only the Charger Hellcat SRT retains it. 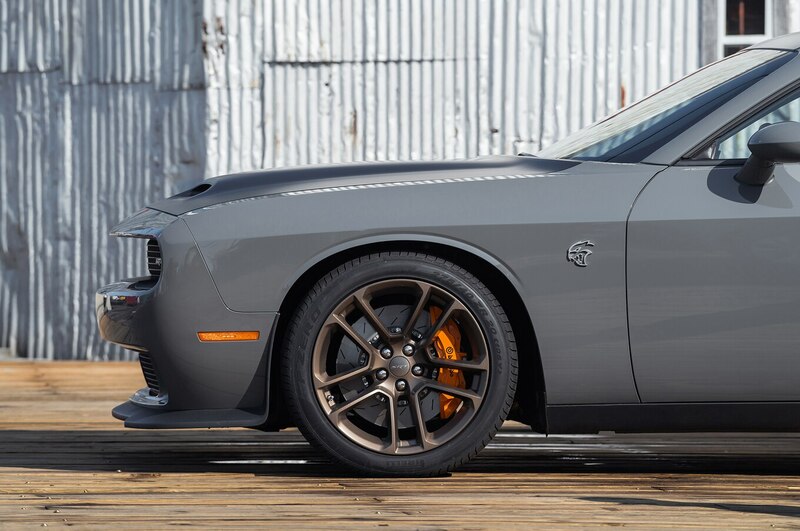 The Widebody tires and the large scrub radius that comes with them presented too many challenges for the hydraulic assist system, so all Challengers now get EPS. 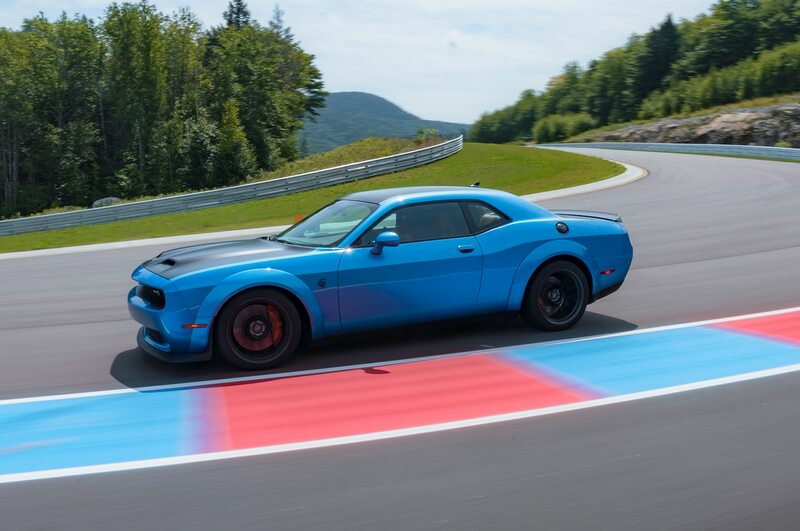 The SRT team tuned the EPS assist curve to work with the tires’ sidewall stiffness to minimize the otherwise huge nonlinearity that would be felt off center waiting for the sidewalls to settle into a curve. 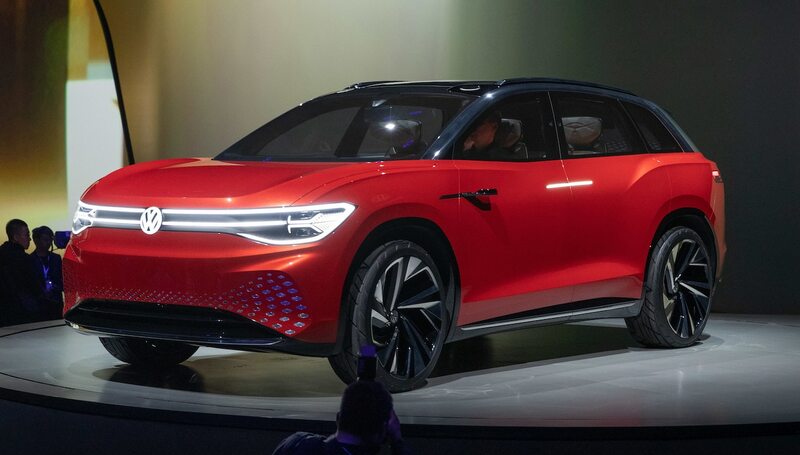 Heuschele freely admits that we are probably never going to feel the delightful little twitches and wiggles that once described minute variations in surface friction via the steering wheel rim with modern electric assist. On the plus side, he notes, we’re also being spared all the negative feedback that used to come through—the frequent need to correct for road crowns or side winds, feeling kickback on single-wheel bumps, etc. He reckons that drivers who are happy to be rid of those attributes vastly outnumber those who miss the friction feedback. 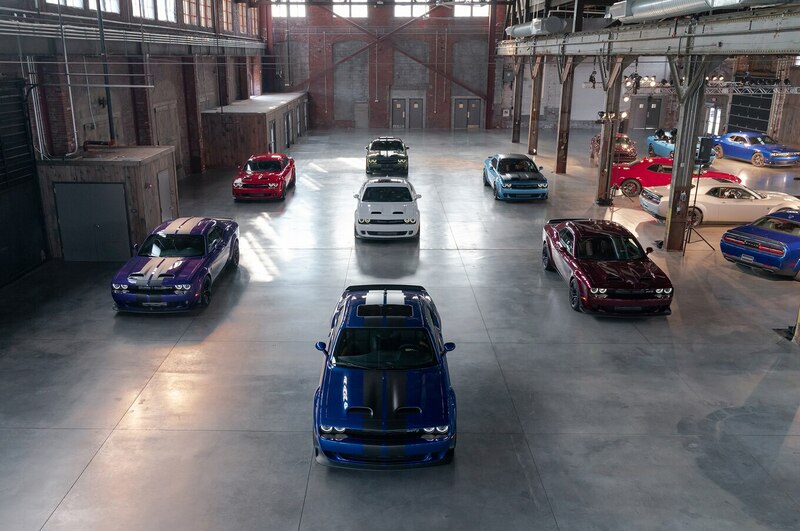 It’s hard to look at today’s vast lineup of Challengers and not muse about putting one of these babies away for a few decades hoping it might turn into the 1971 Hemi ’Cuda four-speed convertible that hammered at $3.5 million USD at a Mecum auction in 2014. 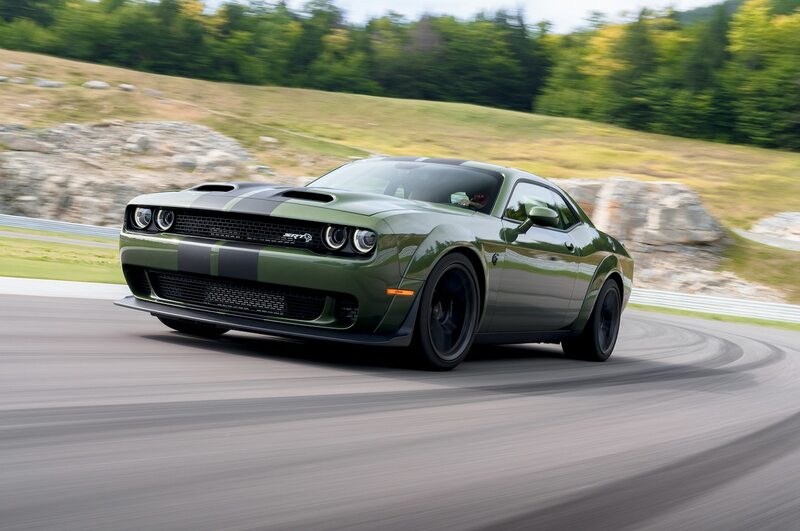 The Dodge folks are expecting the vast majority of Hellcat Redeye buyers to opt for the cooler-looking, higher-limit Widebody package. 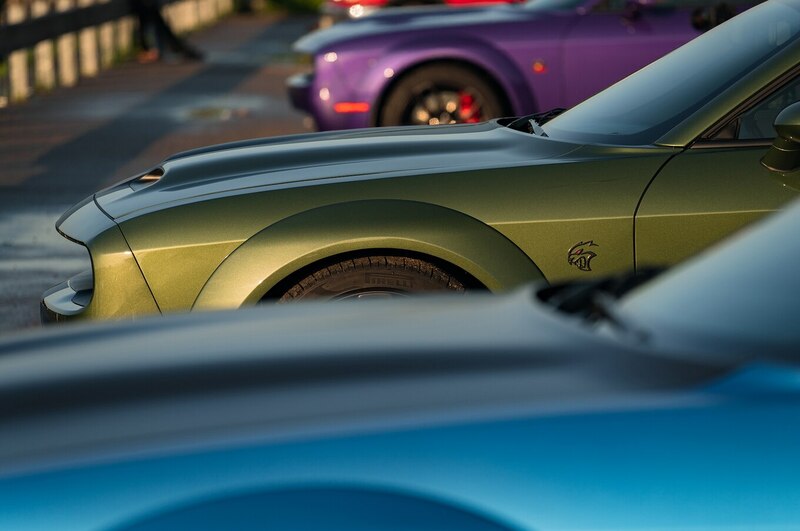 So for rarity, we recommend the Redeye standard body in a low-take color like F8 Green, maybe with orange calipers, Brass Monkey wheels, and the Black Satin Graphics package. 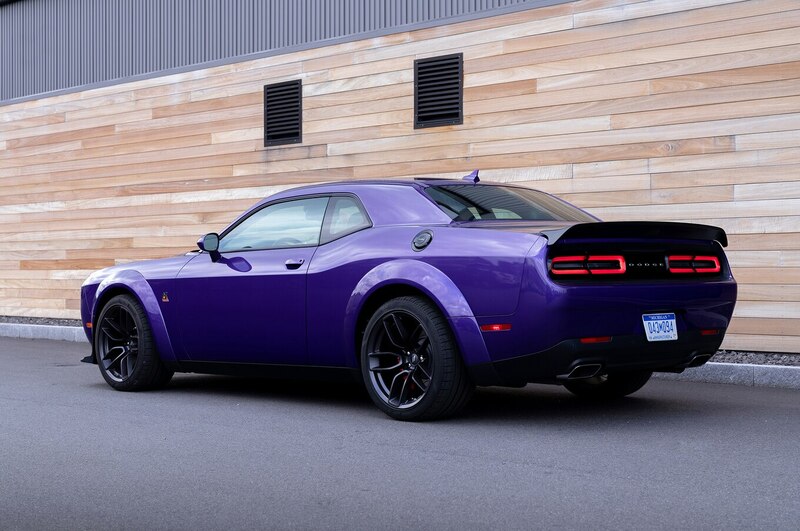 Make it fast by specifying the 3.09:1 axle, the rear seat delete package, and no convenience/luxury options (remember, you’re socking it away, not driving it). Oh, and to guarantee uniqueness, order the block heater.